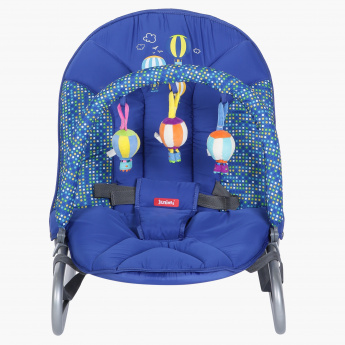 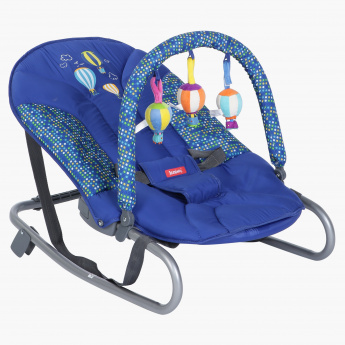 Grab this rocker to keep your little one entertained and close to you at home or on the go. 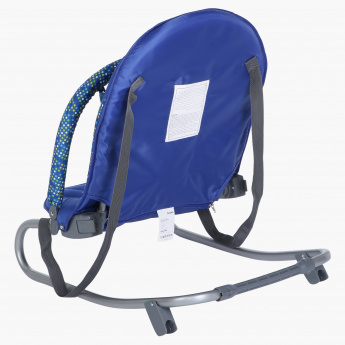 It has a sturdy frame that rocks and flattens smoothly as you wish. 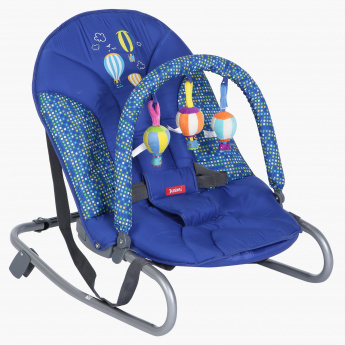 The seat is soft and comfortable with a safety harness.